The TMS-5500-SL-HEI is our second most popular Self-Learning Traction Control system. Whether you are running Late Models, Modifieds, Sprints, Dirt, or Asphalt, Davis Technologies Traction Control can hook you up. The TMS-5500-SL is our most popular Self-Learning Traction Control system. Whether you are running Late Models, Modifieds, Sprints, Dirt, or Asphalt, Davis Technologies Traction Control can hook you up. The TMS-750 is our entry level Traction Control system. 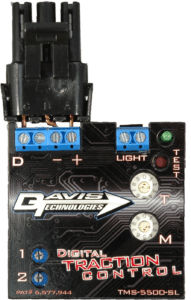 Whether you are running Late Models, Modifieds, Sprints, Dirt, or Asphalt, Davis Technologies Traction Control can hook you up. 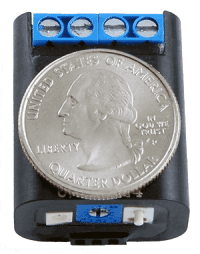 The TMS-750-SL is our most affordable Self-Learning Traction Control system. Whether you are running Late Models, Modifieds, Sprints, Dirt, or Asphalt, Davis Technologies Traction Control can hook you up. The TMS-9500-SL is our most advanced Self-Learning Traction Control system. 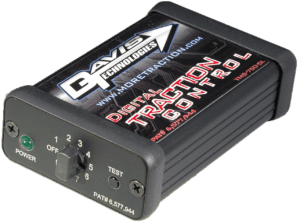 Whether you are running Late Models, Modifieds, Sprints, Dirt, or Asphalt, Davis Technologies Traction Control can hook you up.